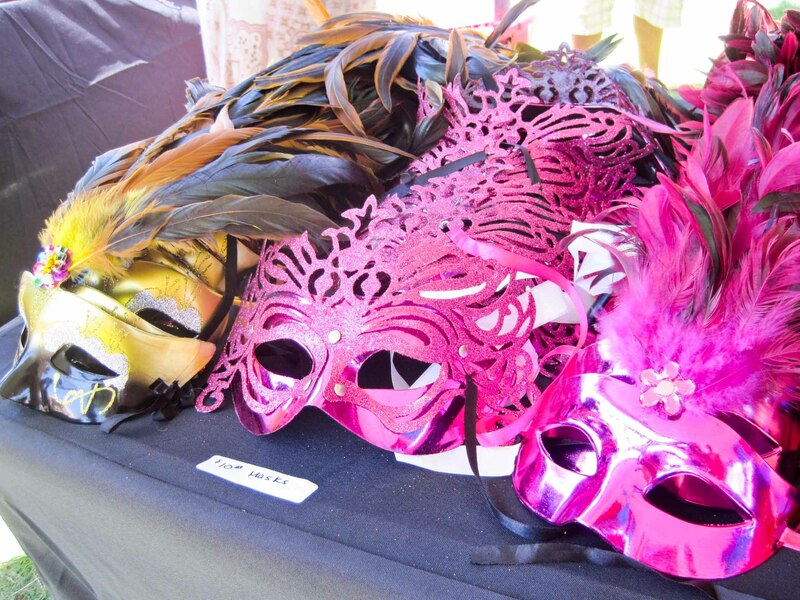 Chinatown Summer Nights presents an exciting hot spot for Angelenos this Saturday, August 11th. This summer party will take place in Chinatown’s own Central and West Plazas. Between Broadway and Yale Street. 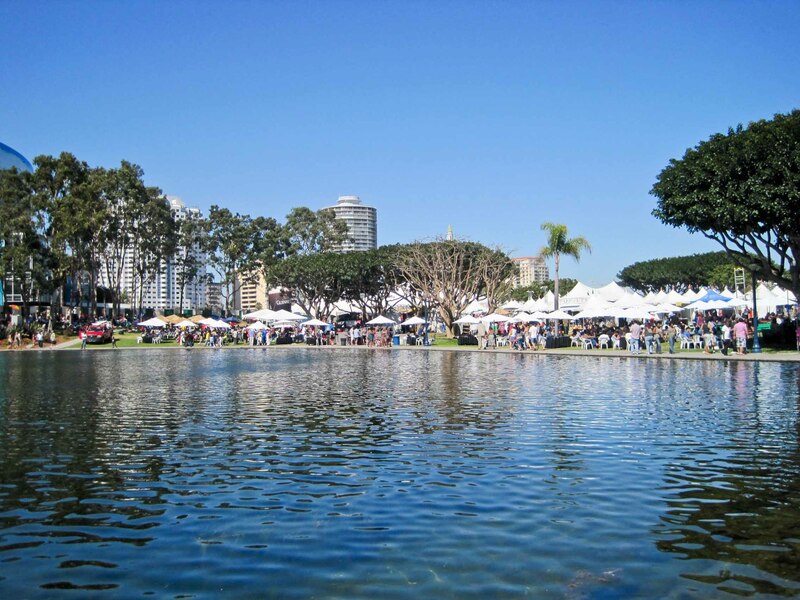 You’ll be able to taste the many culinary offerings of Chinatown and LA’s gourmet food trucks, sample the neighborhood’s wares, watch Chinese chefs perform cooking demonstrations, and take part in hands-on Chinese cultural activities presented by local organizations and museums. If you got nothing else going on this Saturday head on over to the Chinatown Summer Nights event, kick back, sip on Chinese beer and dance your booty off in Central Plaza with the DJ’s from 89.9 KCRW! On Friday, August 10th, the L.A. Zoo and Botanical Gardens will be hosting a beer tasting from 6:00 PM to 10:00 PM. The zoo will shut down its regular operations early and reopen to allow attendees (21+ of course) to sample beer tastings from 21 of the best local craft breweries. 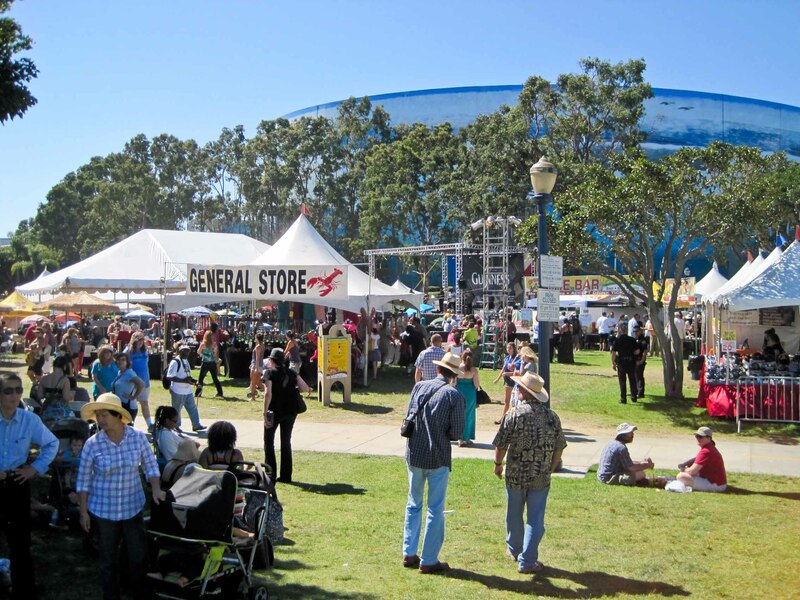 Just some of the breweries on hand will be Stone, El Segundo, and Noble Ale Works. The zoo will be open for attendees and will feature performances by comedians from the Laugh Factory, live music, a DJ, and pub food. Tickets are $40 pre-sale with designated driver admission only $20. Everyone can remember a time when they were at the beach, playing in the sand and making sand castles. 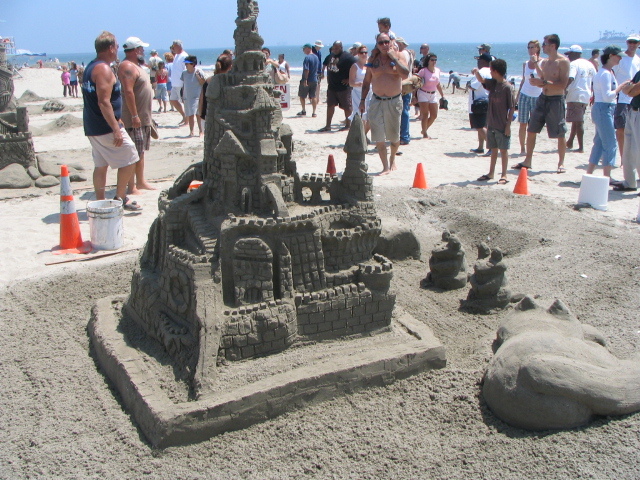 Well the 80th Annual Great Sand Sculpture Contest this Saturday, August 10th and Sunday, August 11th, embraces this activity by having a competition showcasing the best sand sculptors around as well as giving an opportunity for attendees to join in on the event by building their own sculptures! The event will also feature arts and crafts vendors, live music, food, and a kids’ area. Last year over ten thousand visitors made their way to Granada Beach in Long Beach to view the amazing sand sculptures, so do not miss this FREE event! 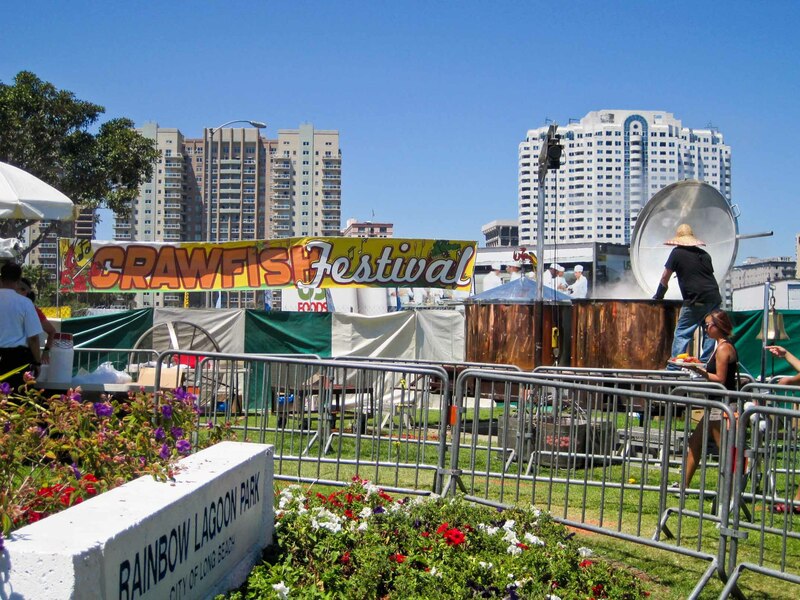 Last weekend we attended the Long Beach Crawfish Festival at Rainbow Lagoon right on Shoreline Drive near the Long Beach convention center. It was a beautiful afternoon and the event location was set along a grass area surrounding a small lagoon, which was a nice touch and made the event seem very inviting. Given that this was a crawfish festival, the theme throughout the event was Cajun and New Orleans inspired. There was a large stage with live jazz music that really set the tone for the entire festival experience. Many attendees took to the dancefloor as well, which looked like a lot of fun! Vendors were selling assorted arts and crafts and the festival’s own general store had a large collection of festive Mardi Gras items for sale like masks and giant beads. We felt like the main attraction for this festival was definitely the food. 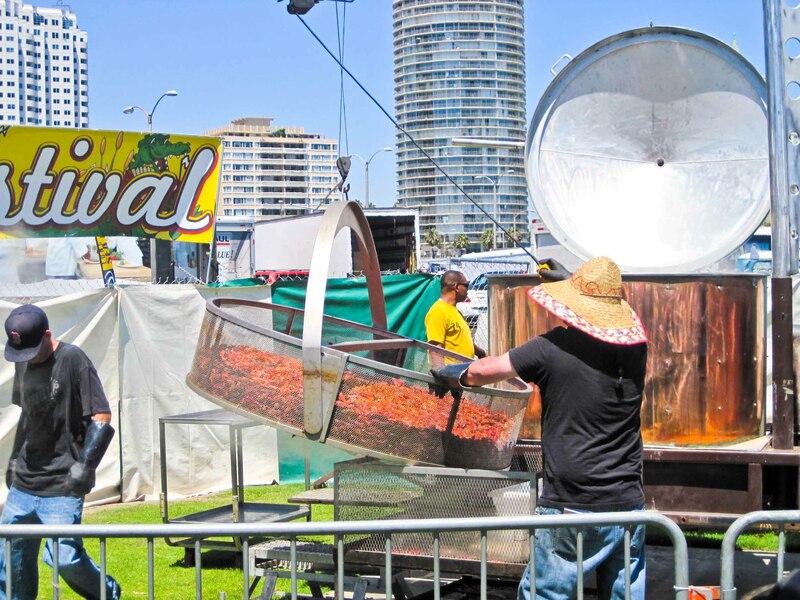 The event featured two huge boiling vats used to boil the hundreds of pounds of crawfish that were served each day. We watched the whole process which ended with the crawfish being removed from the vats in large baskets on a hoist! We purchased the crawfish feast, which included two pounds of crawfish, potatoes, corn on the cob, and dipping sauce. Shaded seating areas to eat was a hot commodity since it was a warm afternoon in Long Beach, and many attendees brought their own lawn chairs to set up under trees, which we thought was a great idea. 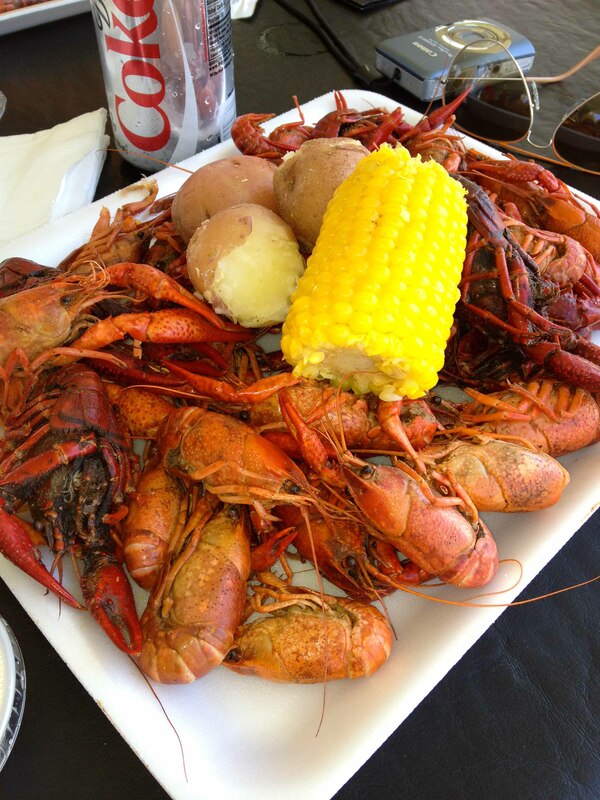 Many people might think that crawfish is too much work to eat, but once we found a good table under a tent to hang out at, we enjoyed relaxing and taking our time eating each delicious crawfish. We felt like the amount of food was a good deal, being $12 during early pre-sales. 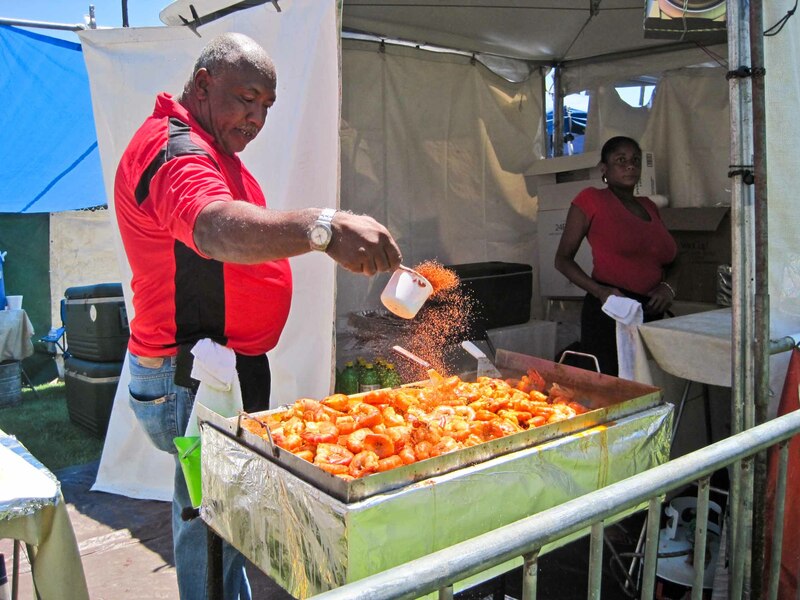 There was a large selection of additional food vendors offering signature southern-style cuisine, like cajun shrimp, gumbo, po’ boys, and beignets, just to name a few. We were pretty full after our crawfish feasts, but next time we’d like to try all the other foods offered! Overall we thought the crawfish festival was a fun and unique event that stands out from many other food festivals because it has a great Cajun-inspired theme throughout. 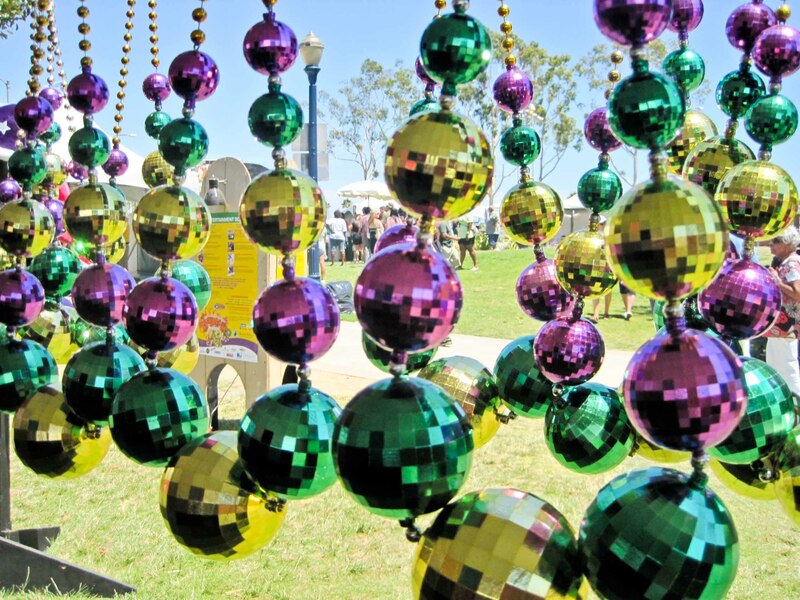 Attending this festival made us all want to make a trip out to New Orleans sometime!